Our mission is to provide the finest quality bespoke jewelry and single and matched-pair loose stones at wholesale prices - shop online or make an appointment to visit our office. We specialize in rings, pendants, earrings, and bracelets featuring sapphires, rubies, emeralds, alexandrites, tsavorites, and fine diamonds. Located in the heart of New York's jewelry district, GemsNY.com is the online extension of our 25+ year old wholesale gemstones business. GemsNY.com enables us to reach end-customers without the costly overhead of traditional retailers, allowing us to sell to you while maintaining our wholesale prices, which are dramatically lower than those of retail jewelers - up to 60-70% off. 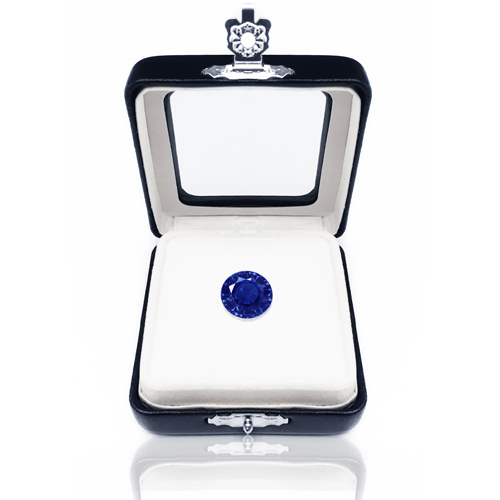 See for yourself - in addition to quoting our price, our site shows you the retail value our stones appraise for, so you can see what you are saving by going direct online. Everything is going direct online and we are proud to be one of the first jewelers of size to take color gemstones online. And when we say 'of size,' we mean it. 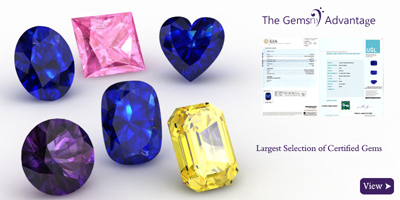 We currently have 9,000+ color gemstones displayed on our site. And, unlike other websites, we own that entire inventory. And note, that's what's on our site, our actual inventory is even deeper (it hard to put everything up!) so if you don't see what you are looking for online, please give us a call - it's extremely rare that we don't have what a client wants. And going direct doesn't mean going 'offshore.' We may acquire gemstones from around the world, but we are based on 47th Street in midtown Manhattan and all of our jewelry is made-to-order and handcrafted in New York City's Diamond District. Choose from our curated collection of preset items or browse through our thousands of loose sapphires, rubies, emeralds, alexandrites, tsavorites, and fine diamonds to select your perfect stone and preferred setting. Whether it's preset or make-your-own, it is all made-to-order. That's why we welcome customizations; we're making it from scratch, so why not get exactly what you want. 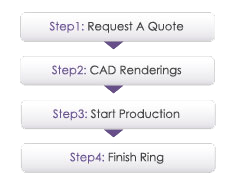 Even if it's a setting you dreamt up yourself, we welcome custom designs - it's rare that we come across a piece which our design team cannot bring to life. 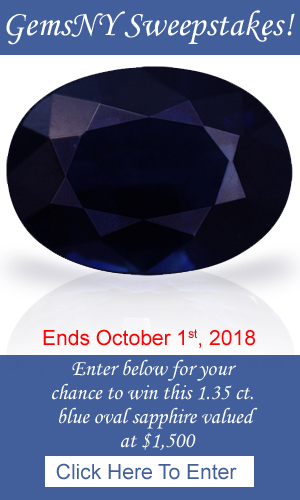 All of our gems are 100% natural - we do not carry lab-created or synthetic gemstones - and most stones are certified by distinguished, independent gemstone laboratories - all certificates and appraisals are viewable right here on our site.